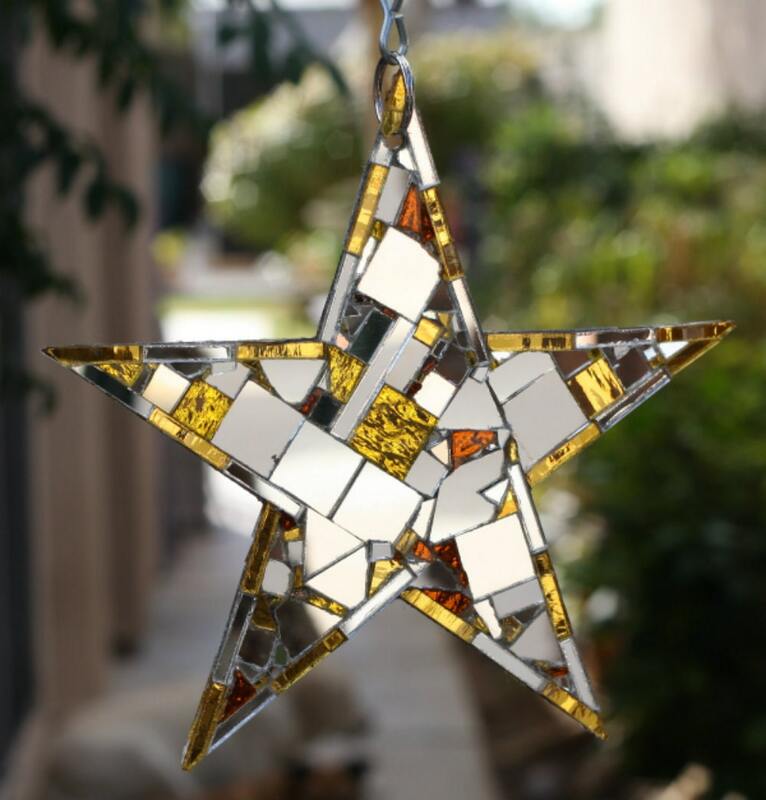 Scores of mirror mosaics cover both sides of this steel star. 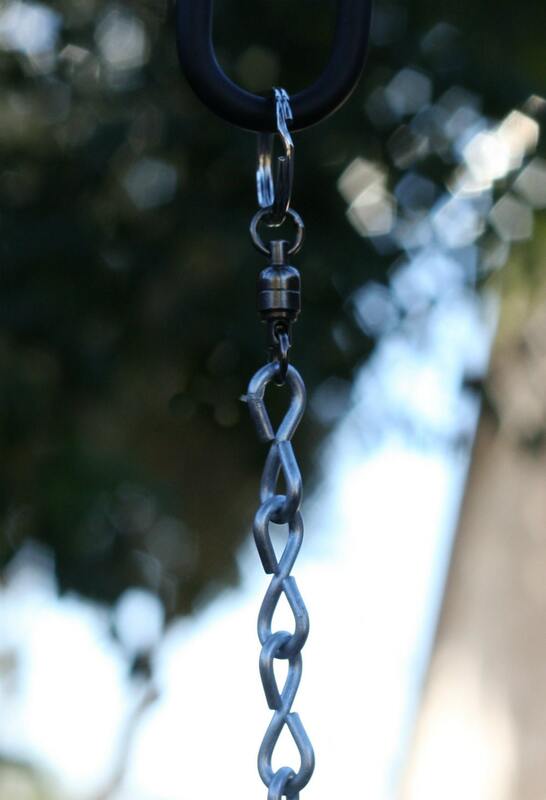 Hang it high anywhere it will catch day light and night lights. It flashes like paparazzi. Dancing reflections add therapeutic peace to your quiet nook, and display a groovy light show when you have your music turned loud, or Manhattans slow and soft. I LOVE this star! Rich gold and amber mirrors flash among silver. It's uplifting and gorgeous and you'll want it out where you can see it 365 days and nights a year. It will do you good. A steel star is the foundation of the piece. Hang it inside or outside. It is stout. This is no wimpy suncatcher. 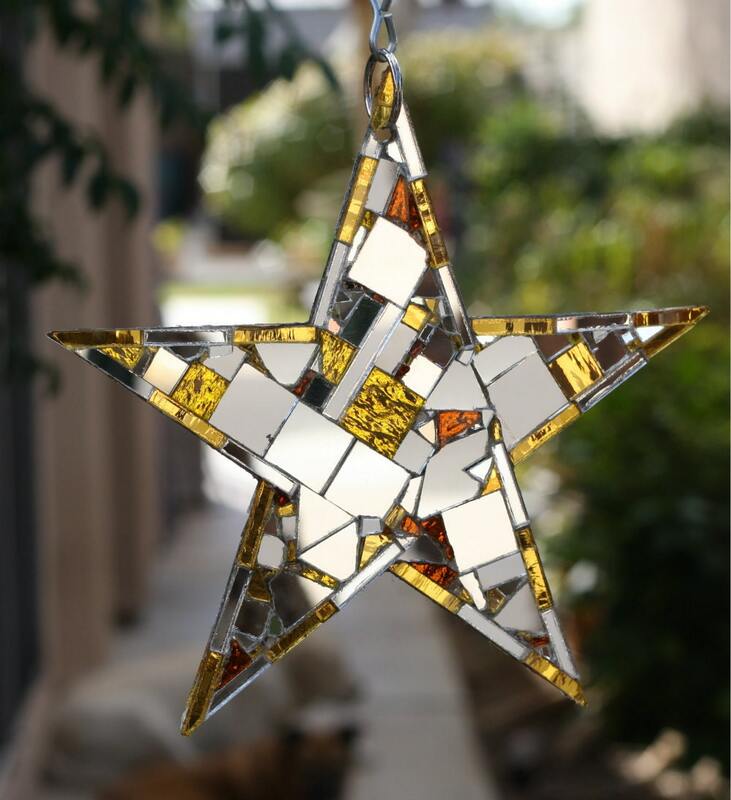 Mirror mosaics pieces fit tight and strong and make for an extraordinarily beautiful asymmetrical pattern. Seriously. 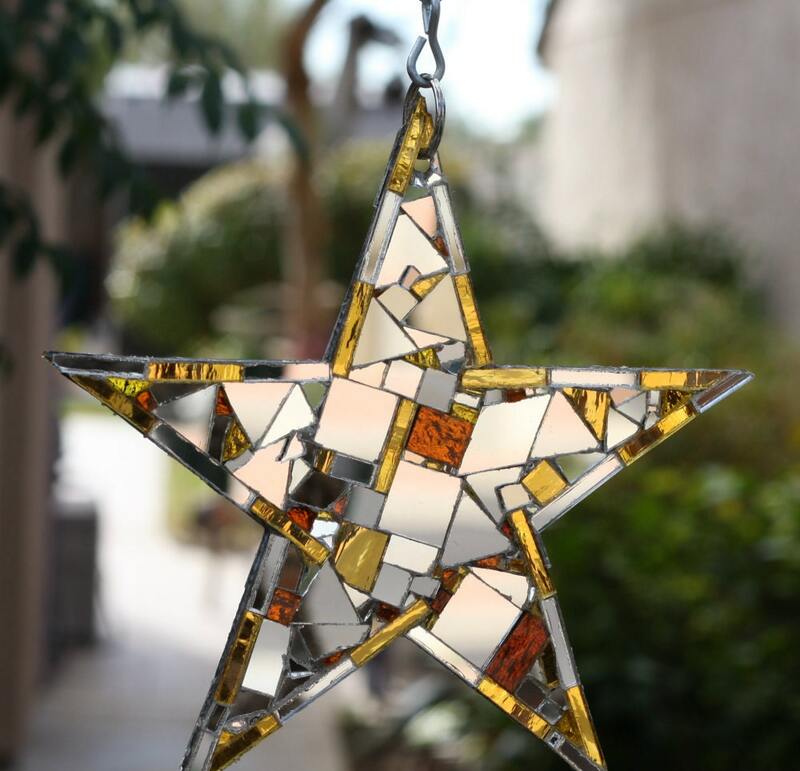 Star length including chain and ring 14.5 inches approximately. Star turns on a 260-pound ball bearing swivel on a strong chain. Signed by artist Jan Meng. Domestic shipping included in price. 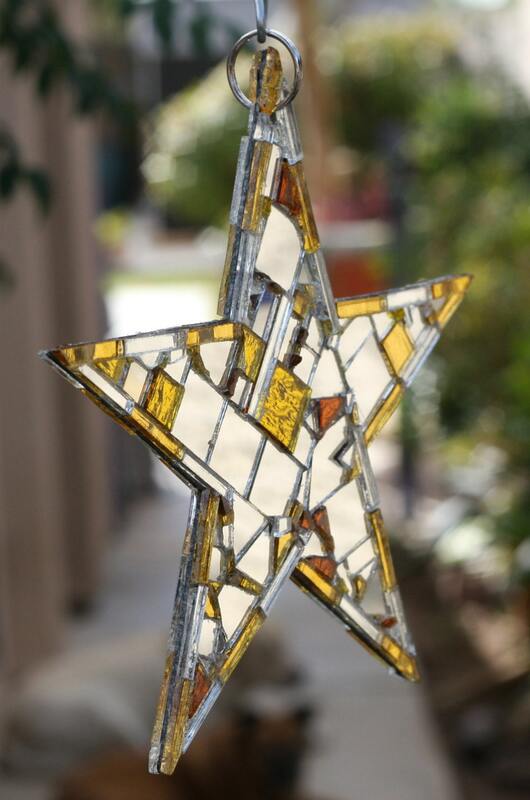 If this star is a gift, let me know at checkout. I'll include a hand-painted post-consumer kraft gift bag with sturdy handles and some post-consumer tissue. No extra charge. You'll be all set.